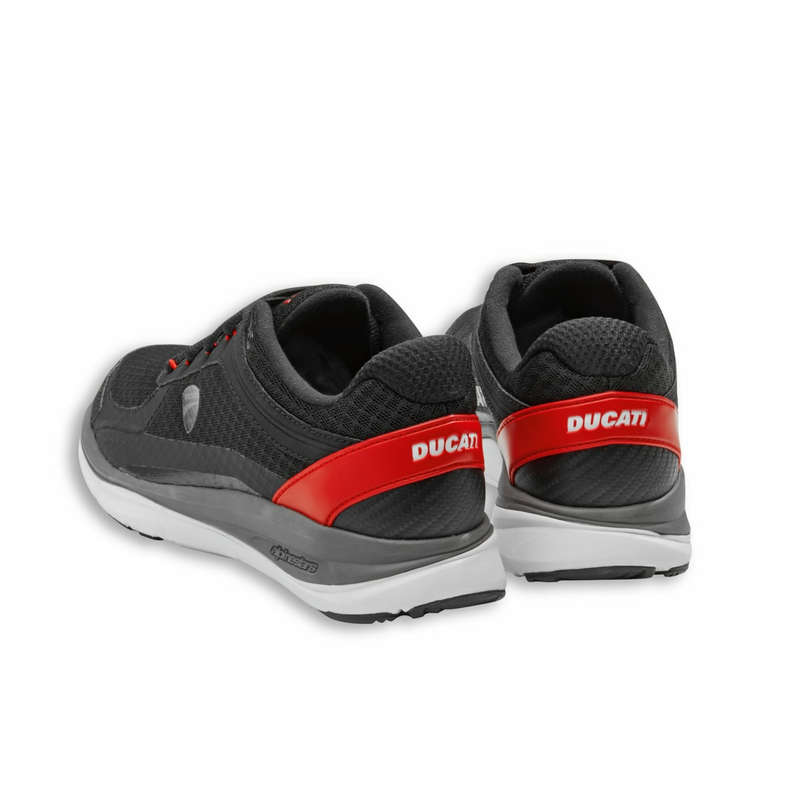 Ducati Redline shoes, produced by Alpinestars in Ducati livery, are perfect for leisure. The upper is in lightweight and breathable mesh combined with a seamless microfiber support that provides structural integrity. The E.V.A. 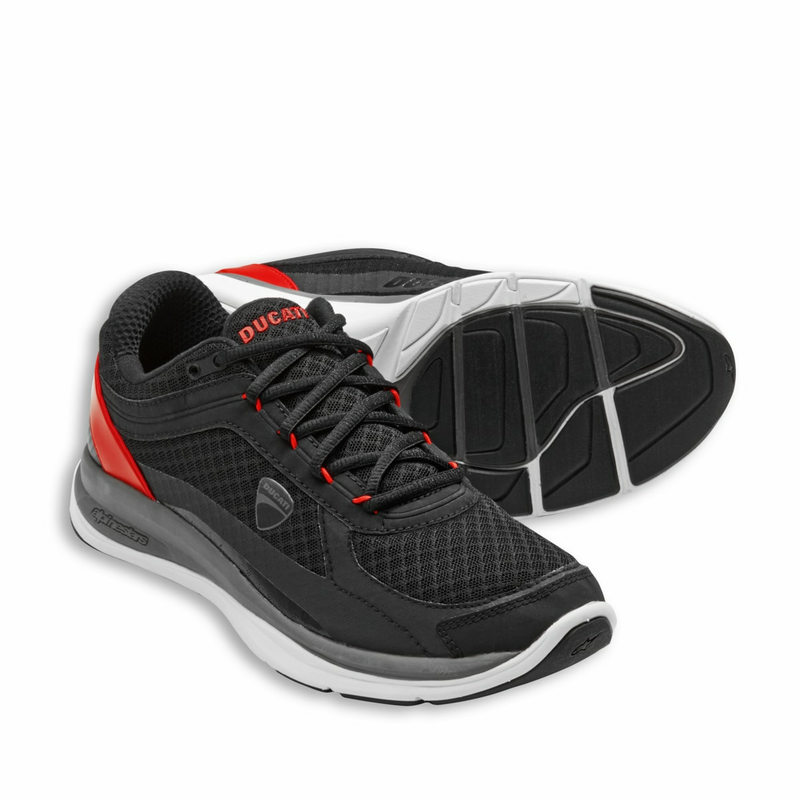 outsole, shock absorbing and high strength, is made in one piece. 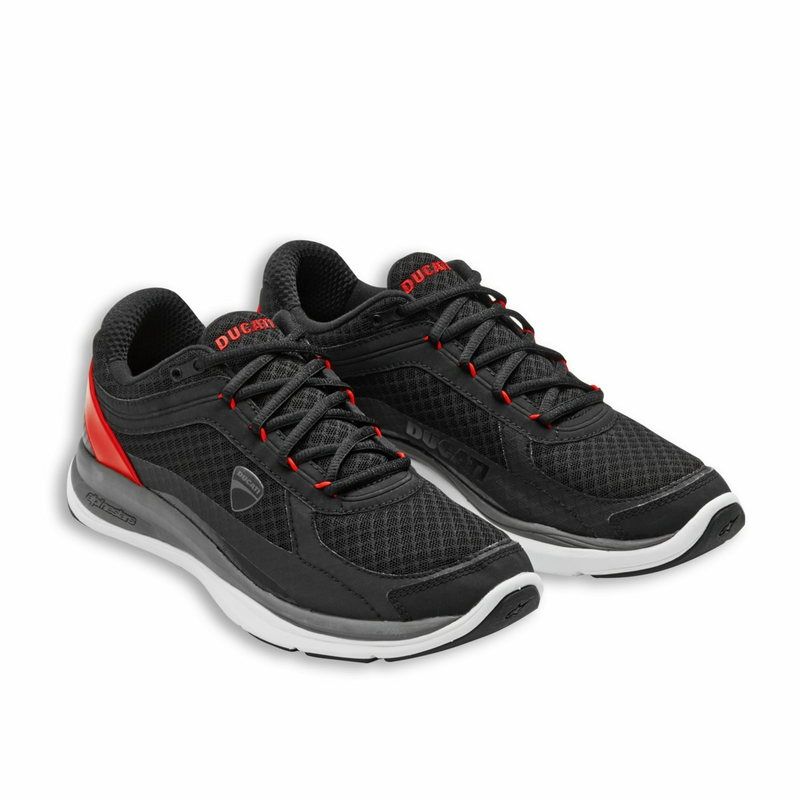 The Redline shoes are also fitted with an anatomical sole - softer on the toe and more rigid on the heel - padding on the tab and instep, and lacing that includes an eyelet on the ankle to facilitate precise closure.